The last thing you want this Spring is to be bored and have literally nothing to do during one of the best seasons. It’s Thursday and since the weekend is nearly here, this is your chance to make the most of it! 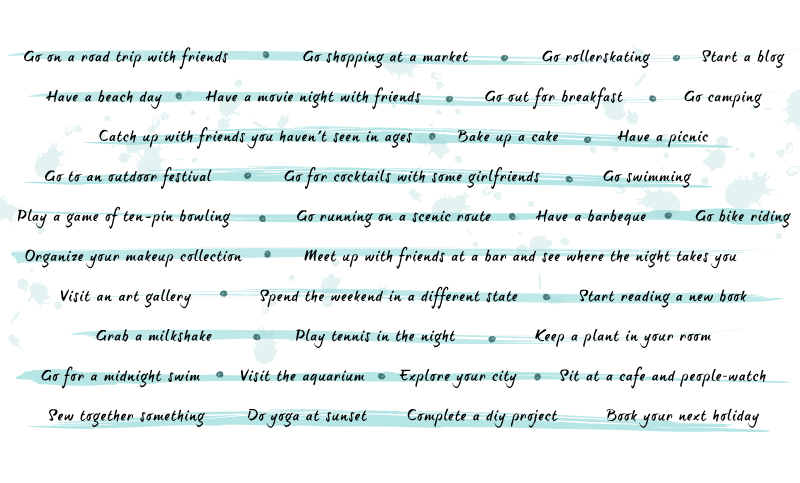 Never be bored again with your very own Spring activities list, and let’s be honest who doesn’t love a good list? So have a quick look at this list and make the most of your Spring time! Author wordsbyfemmePosted on April 9, 2015 April 7, 2015 Categories LIFESTYLETags activities, Bucket List, chill, family, friends, fun, IDEAS, Lifestyle, party, SpringLeave a comment on Spring activities to-do list!